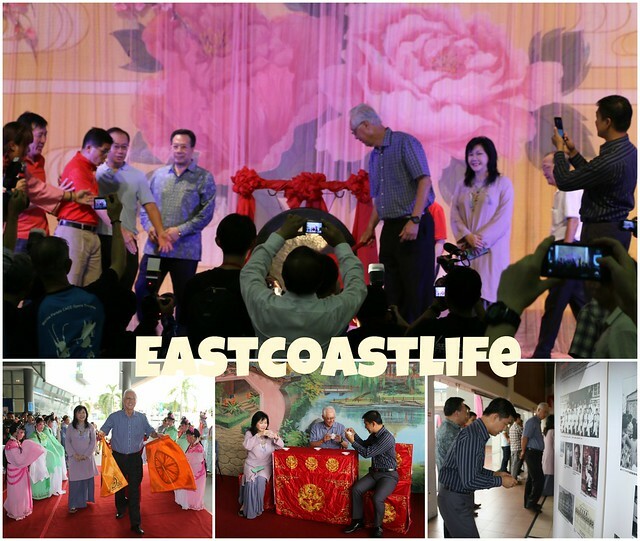 Minister for Social and Family Development Tan Chuan-Jin joined Mr Goh for tea before proceeding together to the 3rd level to view an exhibition on the history of Chinese opera in Singapore. We were greeted by "Justice Bao" at the entrance. 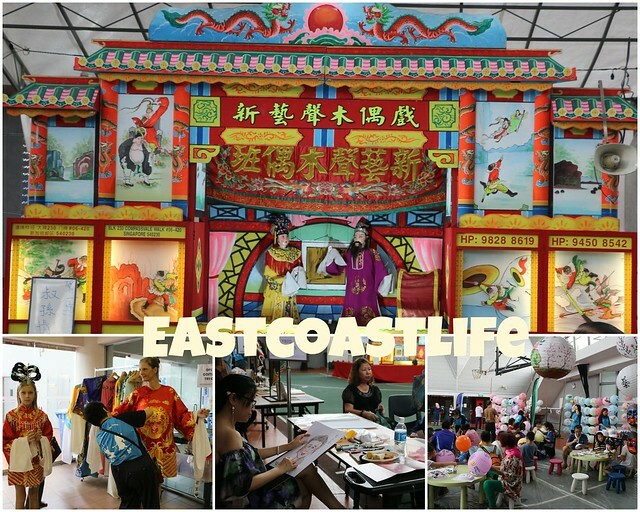 Visitors learnt about the different kinds of facial make up, painted faces and costumes for different personas in traditional Chinese operas. There was a display of "weapons" used in the performances. Visitors could take photos or posed for pictures with performers wearing costumes which identified the various ranks, status and personality of their characters. 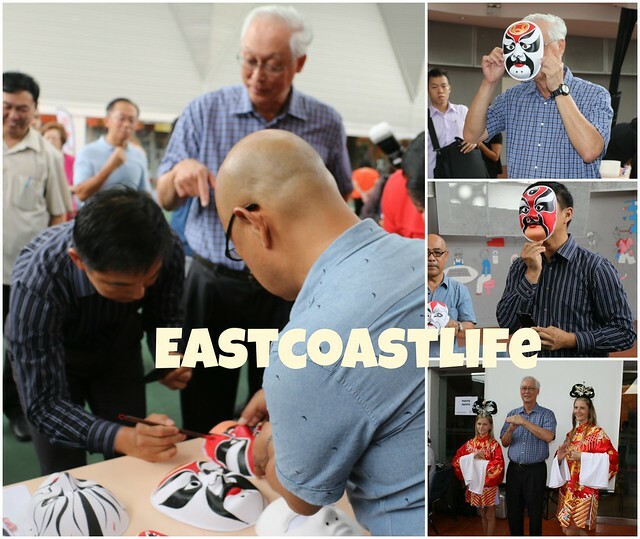 Mr Goh and Minister Tan had fun at the opera face mask painting booth. They each painted a face mask, put it on and took photos of each other, much to the amusement of onlookers. We have several foreign residents joined us. 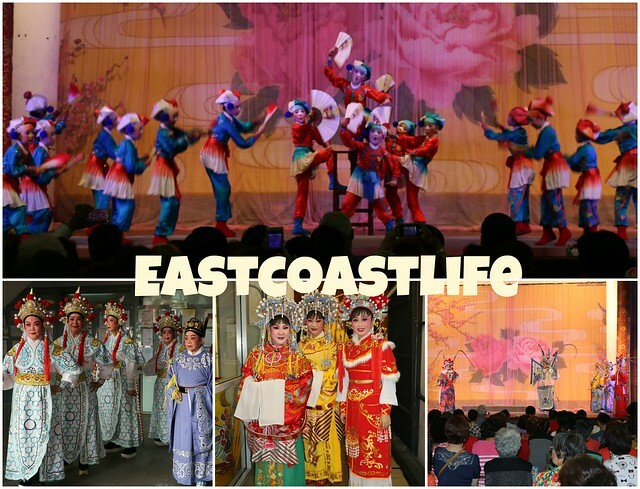 They had fun putting on Chinese opera costumes and having their pictures taken. A lucky mother and daughter posed for a picture with Mr Goh. The visitors enjoyed the cultural treats prepared for them. Families with children were having fun painting and making crafts. 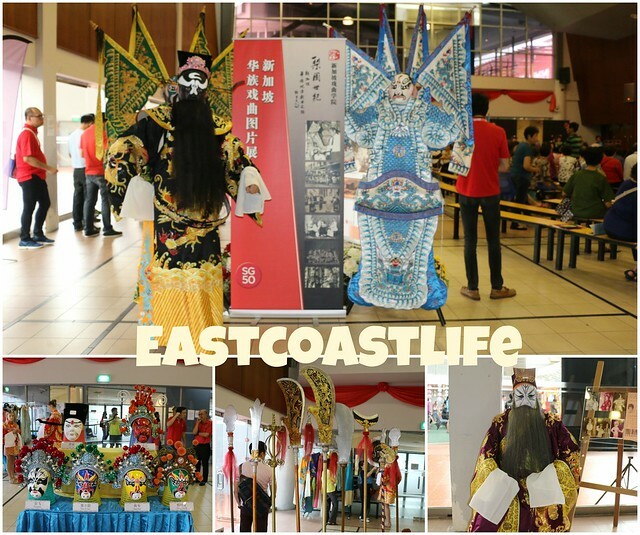 The fan dance performance by a group of 35 children from Sheng Hong Arts Institute (Singapore) blew me away. They are really good, I wish I had my video recorder. I enjoyed their performance very much. 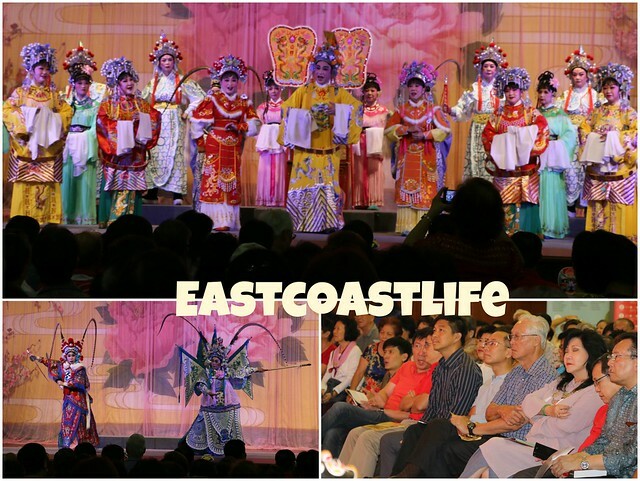 Love the colourful, magnificent costumes of Joo Chiat Teochew Opera group. On the right side of the stage was a screen where we could follow the lyrics of the opera with translated English subtitles. I was secretly laughing to myself as I read them ..... a funny idea crossed my mind.